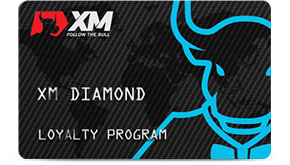 Trade and earn XM Points that can be redeemed for credit bonus rewards. There are no forms to fill and nowhere you need to sign up to join, as soon as you start trading, you start earning. All Real Account clients start at Executive level and are upgraded automatically after periods of trading activity. 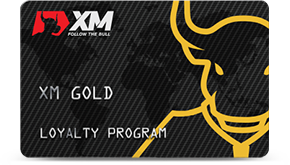 With each loyalty status upgrade, the amount of XMP (XM Points) you earn per lot traded increases proportionately. This allows you to earn XMP at a faster rate. The more XMP you have, the more you are able to redeem for credit bonus rewards. 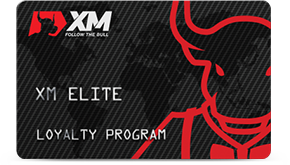 As you trade, you will earn XMP which can be redeemed at any time for credit bonus rewards in the Members Area. In the Members Area you can also monitor your balance of XMP at any time, including the equivalent value of your XMP as credit bonus. The bonus adds funds to your trading account but it is intended for trading purposes only. Below you can see the specific formulas used to calculate the equivalent value of your XMP to credit bonus. The examples in the table below show you how the Trading Bonus is proportionally removed from your trading account when you make a withdrawal.